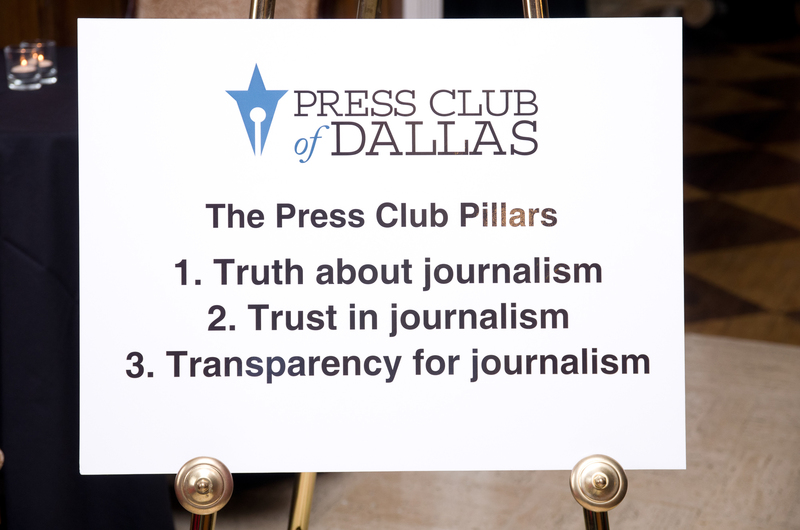 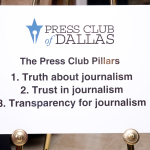 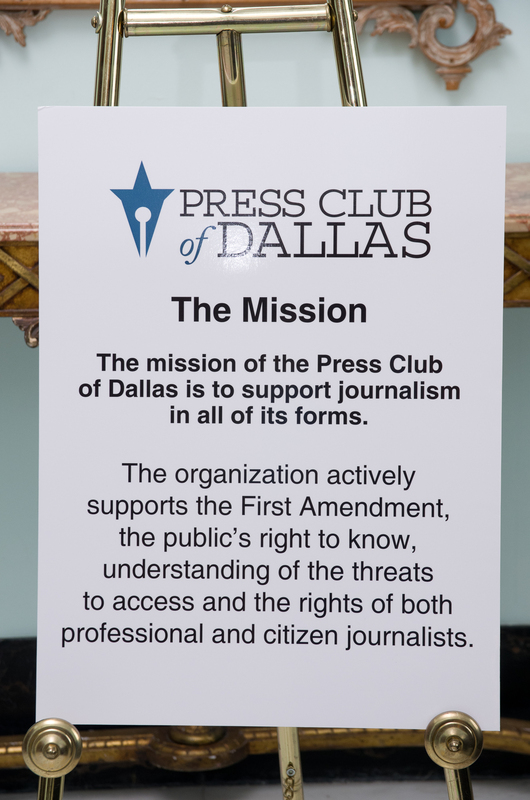 The Press Club of Dallas has come full circle, relaunching at the place that was its longtime home. 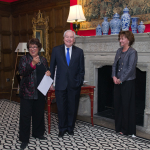 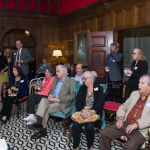 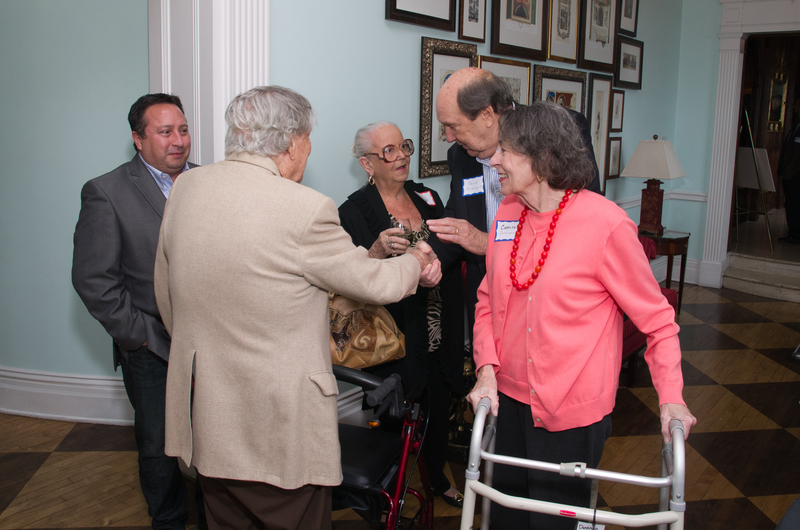 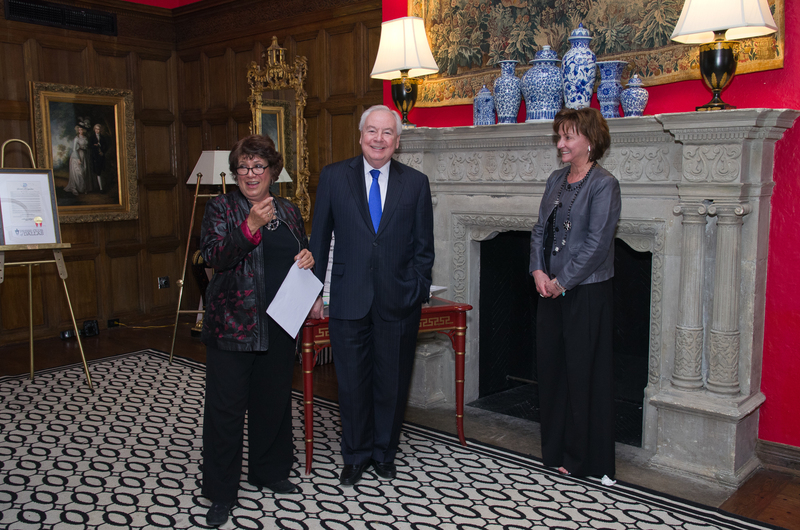 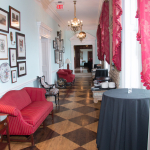 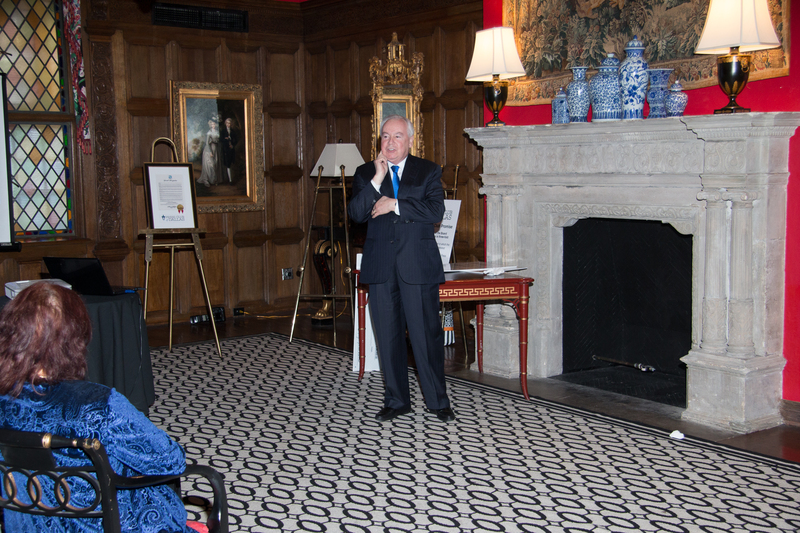 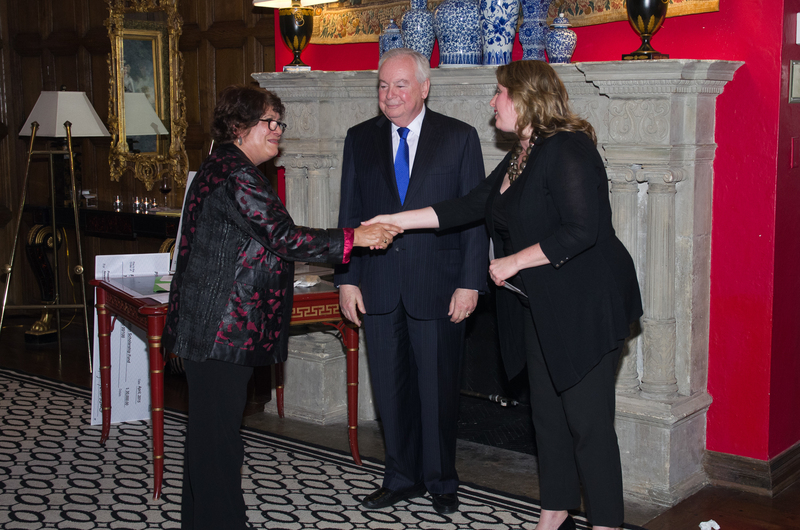 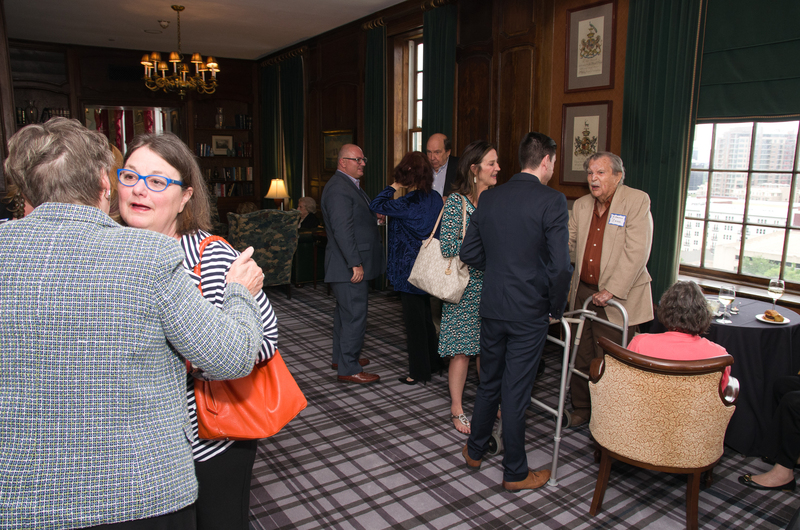 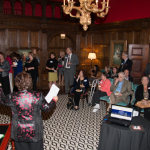 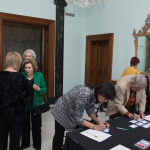 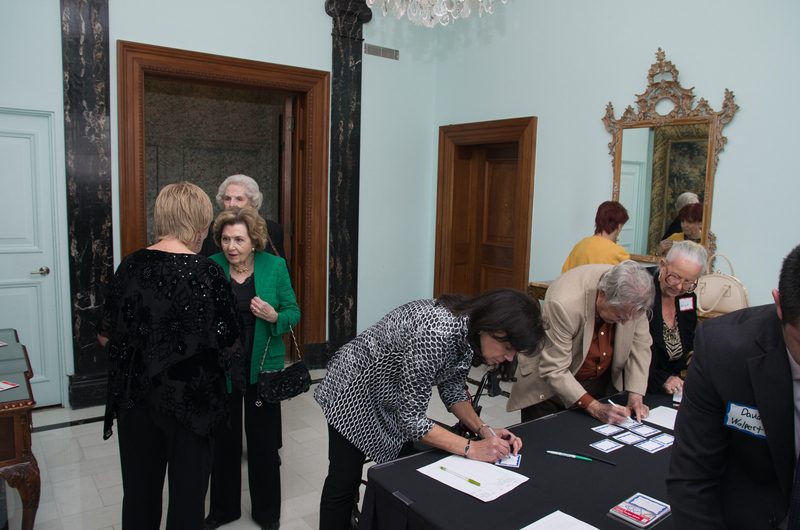 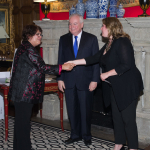 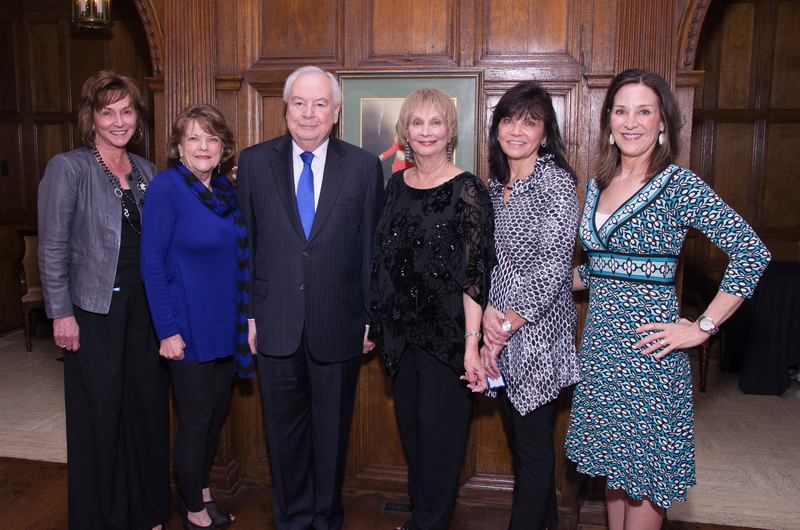 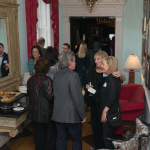 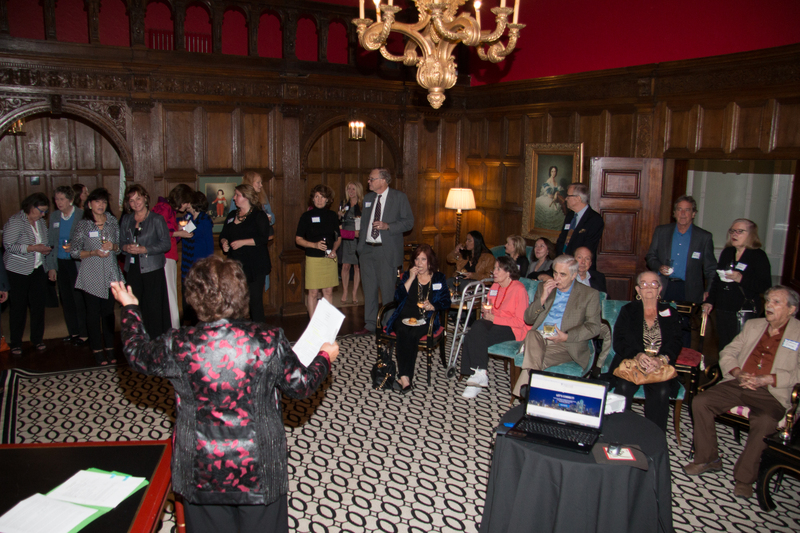 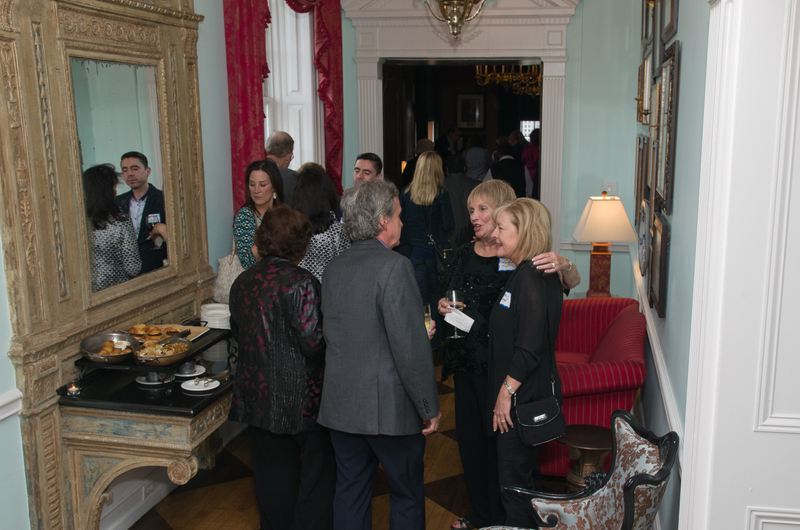 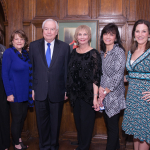 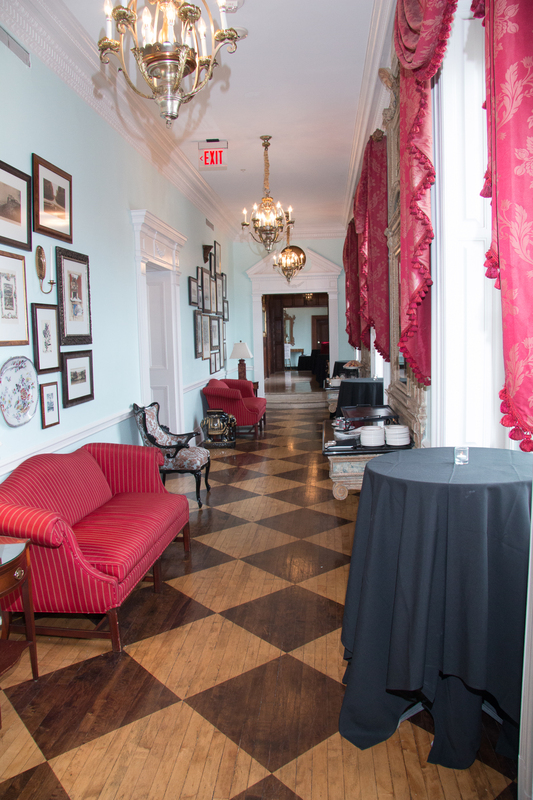 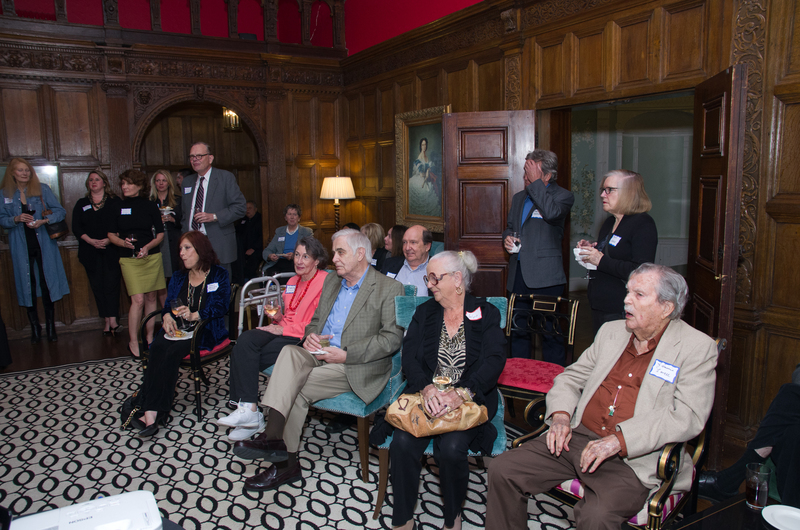 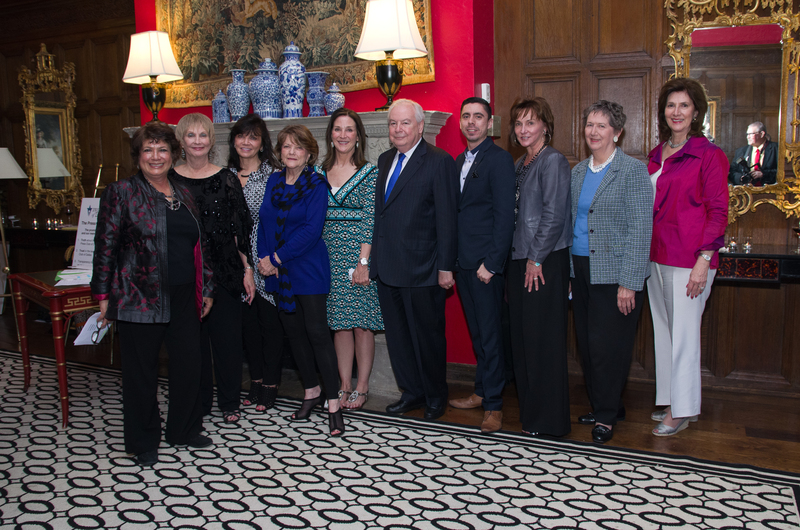 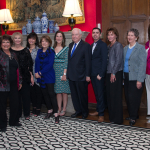 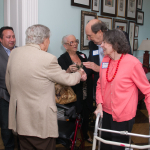 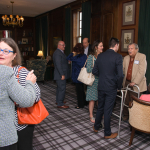 Le Méridien Dallas, The Stoneleigh’s historic penthouse, hosted the club Tuesday for a celebration called “New Beginnings.” Press Club president Niki McCuistion welcomed a throng of guests, including many former club presidents and longtime members. 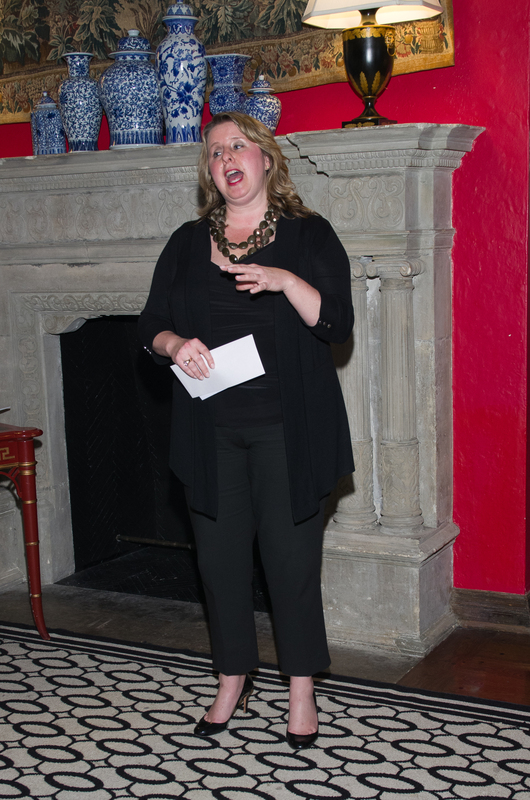 She unveiled the club’s new logo and website and talked about its focus on emerging forms of media. 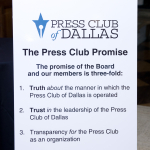 Mayor Mike Rawlings mentioned the club’s history during a special recognition. 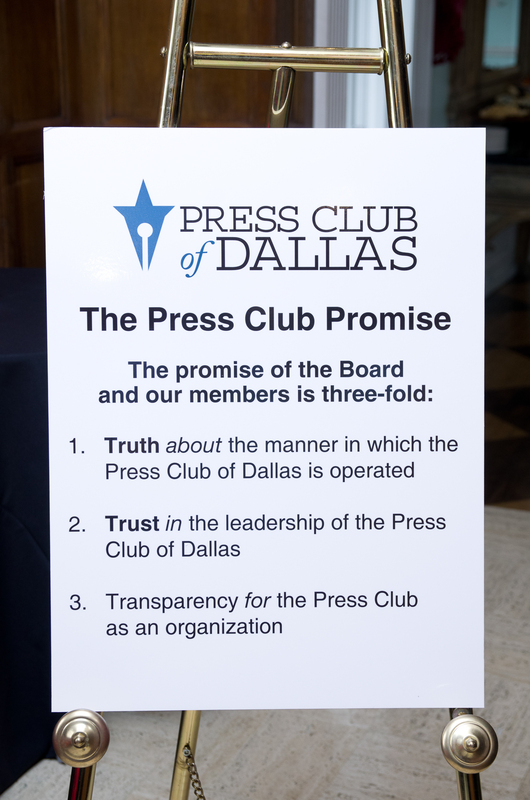 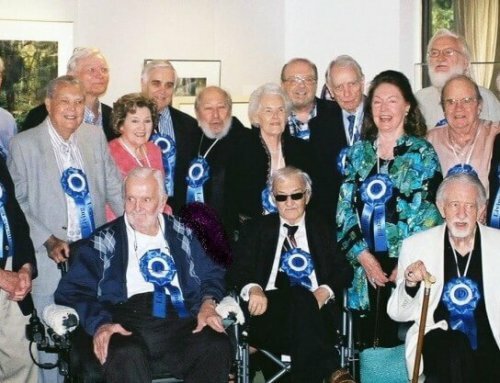 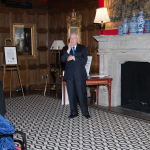 “I … do hereby extend special recognition to the Press Club of Dallas and Le Méridien Dallas, Stoneleigh Hotel on the occasion of celebrating the club’s past, present and future — honoring truth, trust and transparency — and celebrating a one-time meeting spot where it all began,” read part of the proclamation. 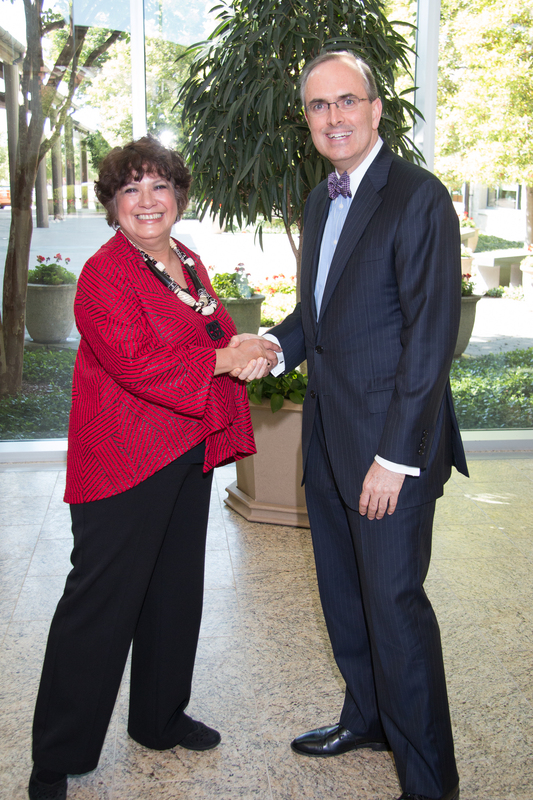 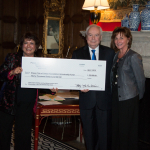 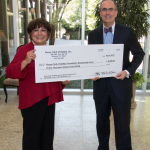 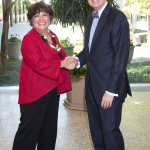 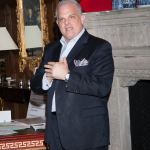 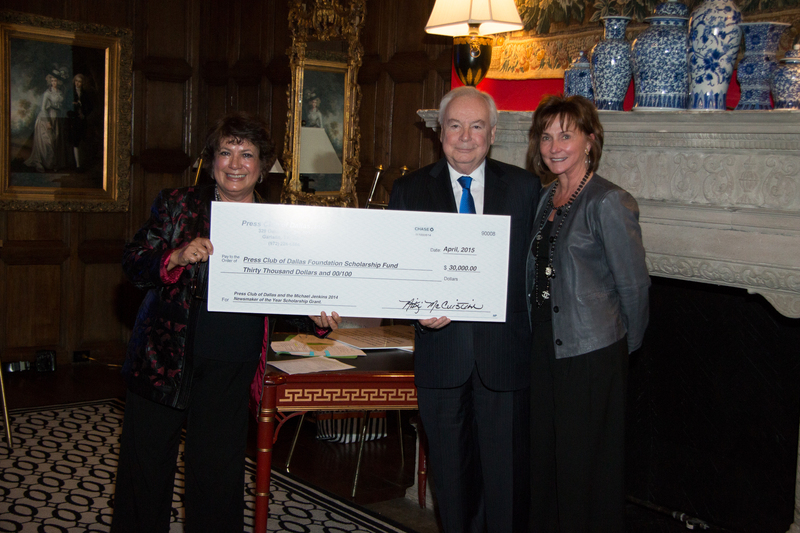 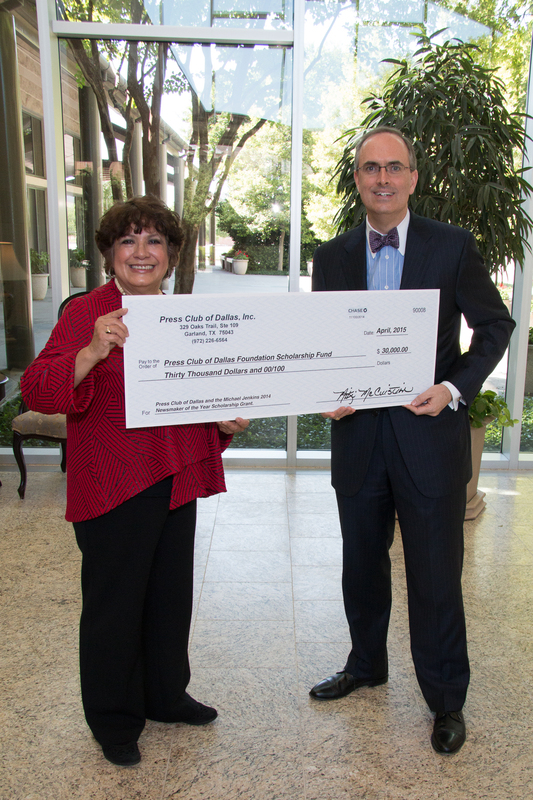 Dallas Summer Musicals president Michael Jenkins, who was named the Press Club’s 2014 Newsmaker of the Year, attended to help present a $30,000 check to the Communities Foundation of Texas. 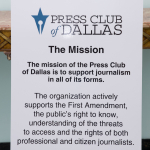 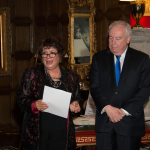 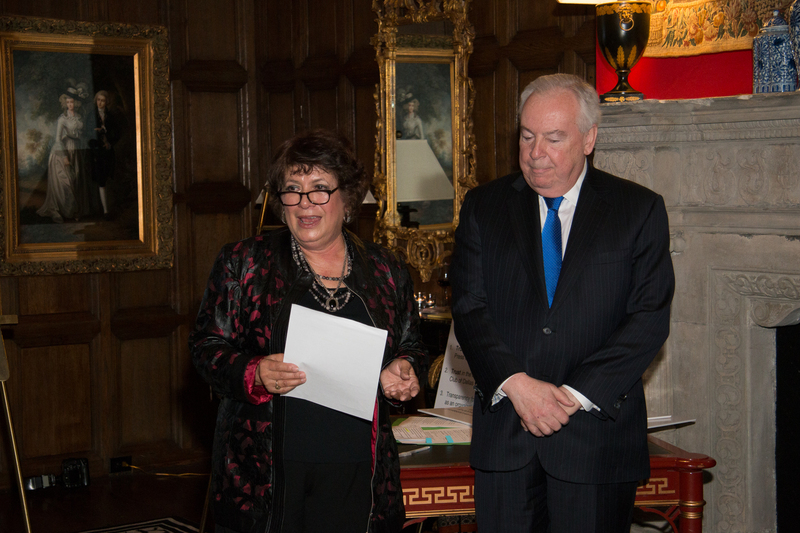 The funds were raised from a tribute dinner for him and will benefit scholarships for journalism students. 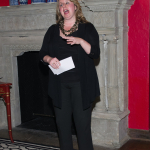 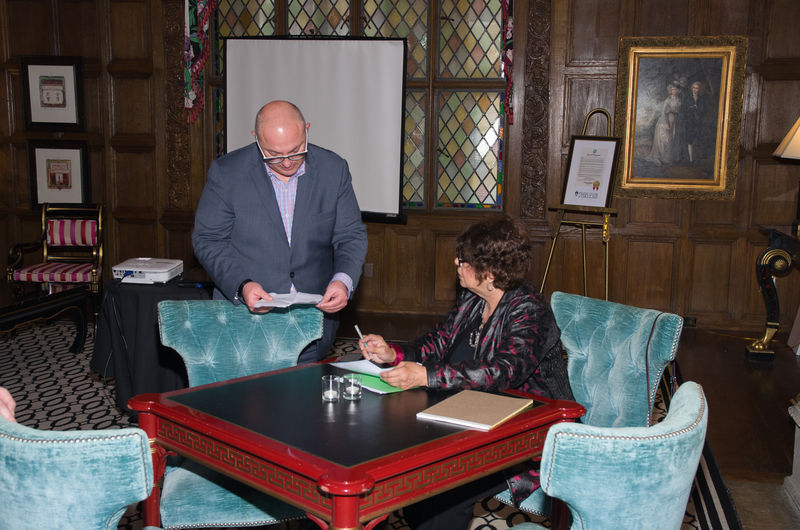 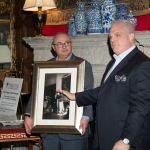 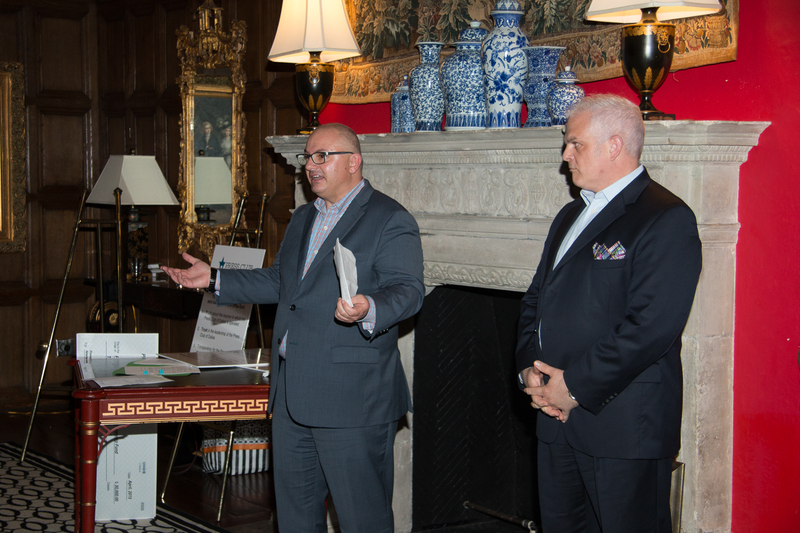 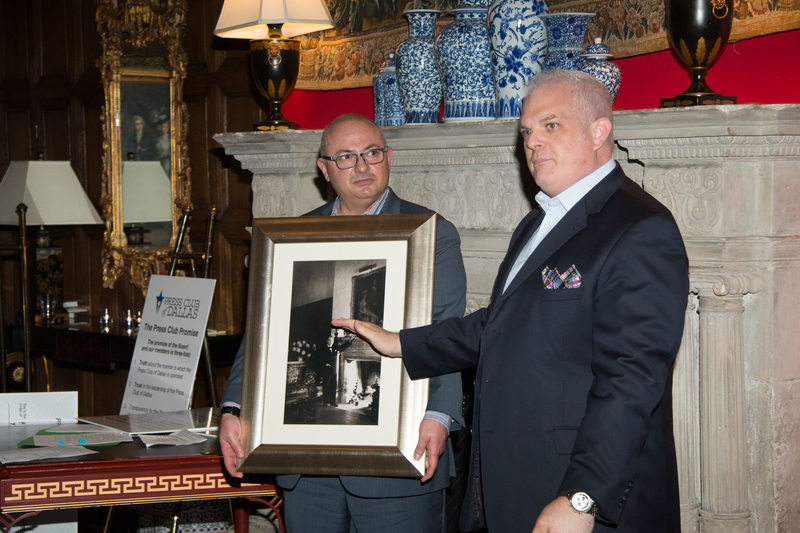 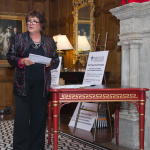 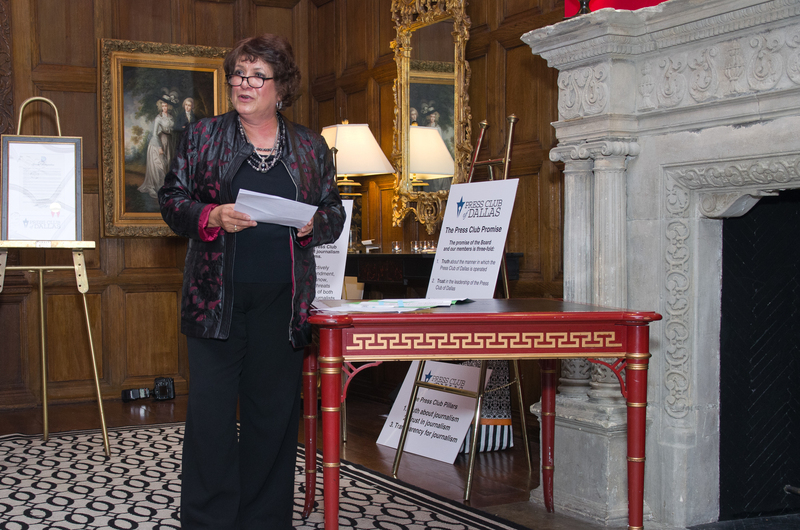 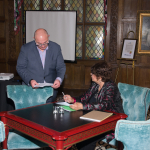 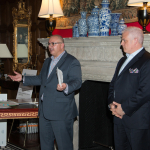 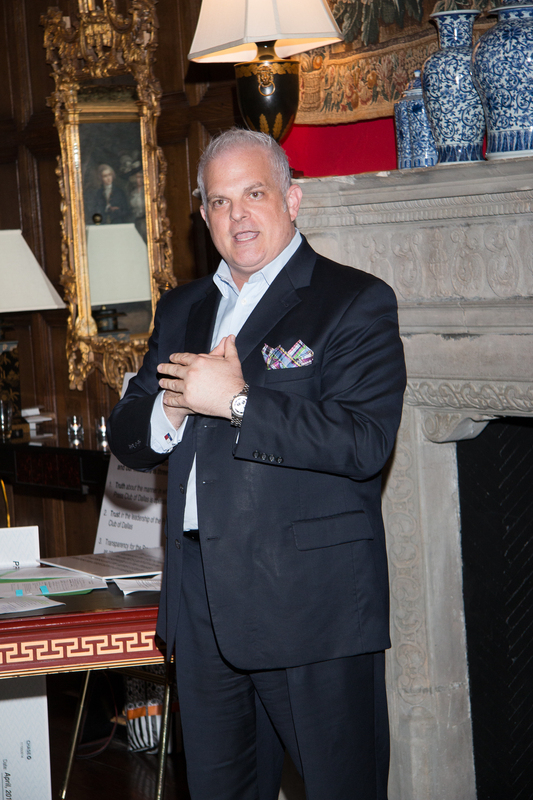 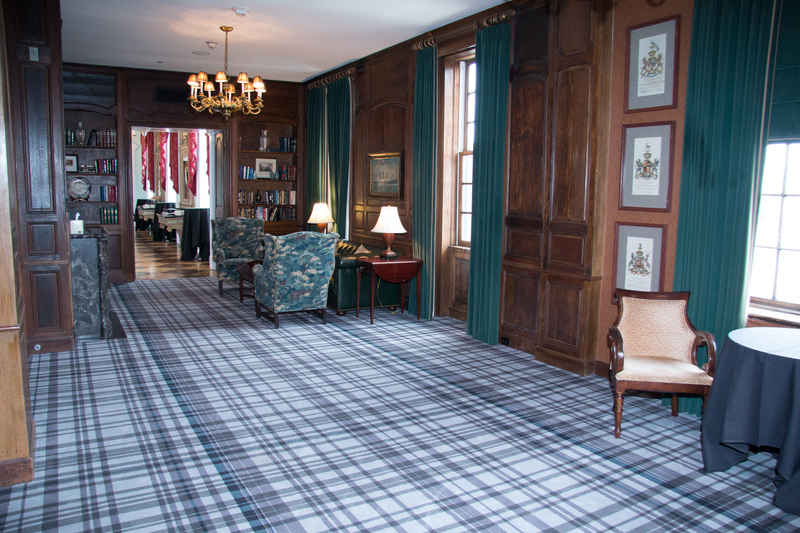 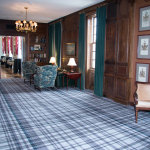 Other speakers included Elizabeth Liser, director of donor services for the foundation, who thanked the club for supporting scholarships, and Sam Tucker, director of sales and marketing for the hotel, who talked about the history of the hotel.